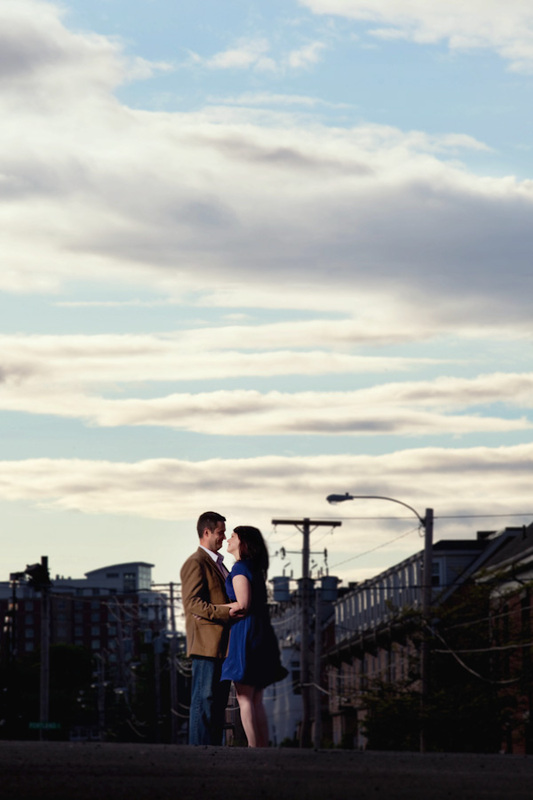 A quick stroll through the most recent posts on the blog and you’d never know I was a wedding photographer. 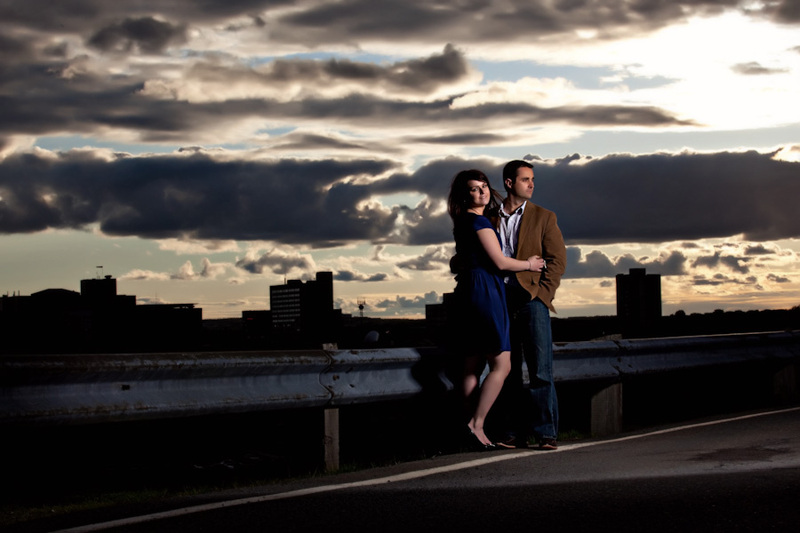 So here’s a post just to prove that I actually am going to shoot some weddings this year. Jules told me that her and Dave have about 18 years of post secondary education between them. She also told me they are (self proclaimed) nerds. 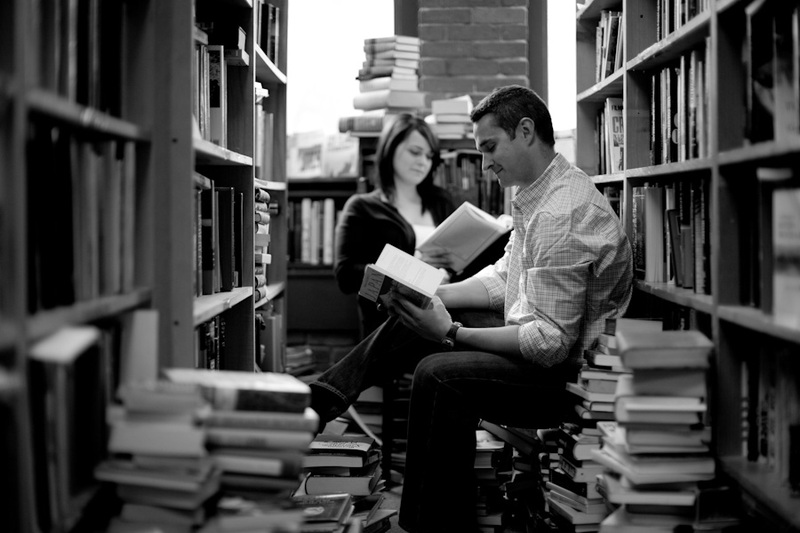 So we hit the book store for their engagement shoot. I’m telling you, when couples say, “we have an idea for a shoot” its so inspiring and makes it so much more personal and fun. So I managed to get permission to shoot in JWD Bookstore on Barrington St. Have you seen this place!? thousands upon thousand upon thousands of book everywhere. stacks and piles and lines and diagonals of books upon books. It was incredible…but we found ourselves tucked into an aisle that had a little bit of window lights. This aisle also happened to be the German section. War, Hitler, History…zzzz…zzzz. Jessica went off in search of a book title that would fit the scene but she got lost and I haven’t seen her since. I can tell you for sure these two are anything but nerds. We had so much fun. You know you have crossed the line from clients to friends when you’re sharing poop bags! Can’t wait for the wedding guys!! I love the light you got in the first image! Super cool bookstore too! The first photo is great. What a clever idea to use the old book shop. I didn’t think you two were that nerdy! Looking forward to the big day! Cool cool cool! Love your recent work Liam, very creative and edgy! The book store is a fantastic idea. The photos in there look amazing.